A fantastic docudrama relating the tale of the US housing market collapse in 2007. Fantastic filmmaking isn’t. 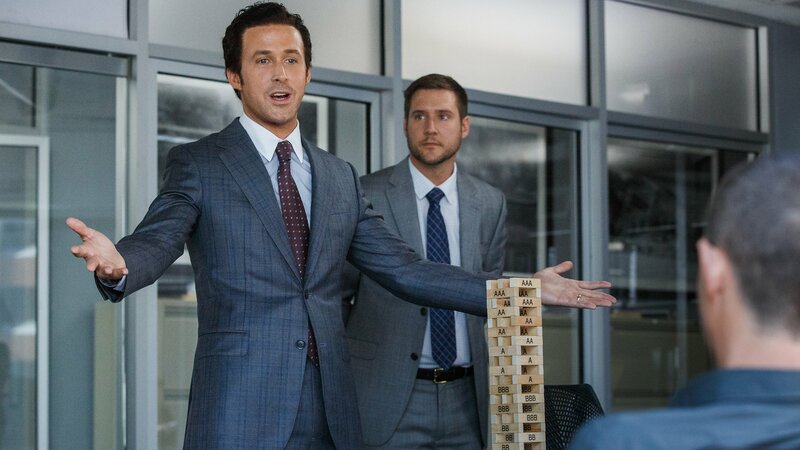 The Big Short, like recent offering Kilo Two Bravo and to a certain extent Bridge of Spies, masters the art of the docudrama by giving us an entertaining account of what happened. Unfortunately, the film doesn’t take that extra step and craft those events into a meaningful argument. No Main Character Throughline for us to develop a personal attachment. Mark Baum (Steve Carell) comes closest with the events surrounding his brother’s death, but time spent with Michael Burry (Christian Bale) and Jared Vennett (Ryan Gosling) sap precious character development time from Mark. No Influence Character Throughline to challenge and impact Mark’s personal point-of-view. One could argue the rampant corruption and uncaring attitude of those within the system provided that influence, particularly with CDO Manager Mr. Chai (Byron Mann). But this point-of-view is difficult to separate from the Overall Story Throughline of shorting the housing market. In short, it is hard to see this perspective as something other than purely functional in an objective sense. No Relationship Story Throughline. Maybe just maybe there is the hint of a relationship between Mark and his wife (Marisa Tomei) but is scant and underdeveloped. Three out of the four major Throughlines incomplete or missing altogether knight The Big Short a tale, not a story. The purpose here was to relate complicated and confusing Information to a public who understood little to nothing about sub-prime mortgages. For those who love great films, it did so masterfully and is definitely something one should watch. Its lack of crafting an effective argument will keep it from being something one would want to watch over and over again.